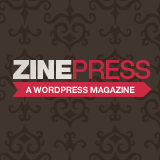 I am very pleased to announce the official release of my latest WordPress theme; ZinePress. ZinePress isn’t really an overcomplicated magazine theme, but she’s not exactly a run-of-the-mill blog design either. My goal with this design was to create a theme that could present oodles of information to the visitor in a straight forward and non-threatening way. It’s some of my proudest work and I hope you like it. I am pleased to announce the release of my first free WordPress theme: Grass Roots. Being that this is my first public-released theme, I tried to make it as easy to install as possible. No plugins, add-ons or doo-hickeys required. Although, further customization options are available (if you’re into that kind of thing). Please see the readme.txt file included for more information.